A video showing a ‘dragon’ flying across a mountain range in China has left netizens bickering over whether the footage is real or fake. 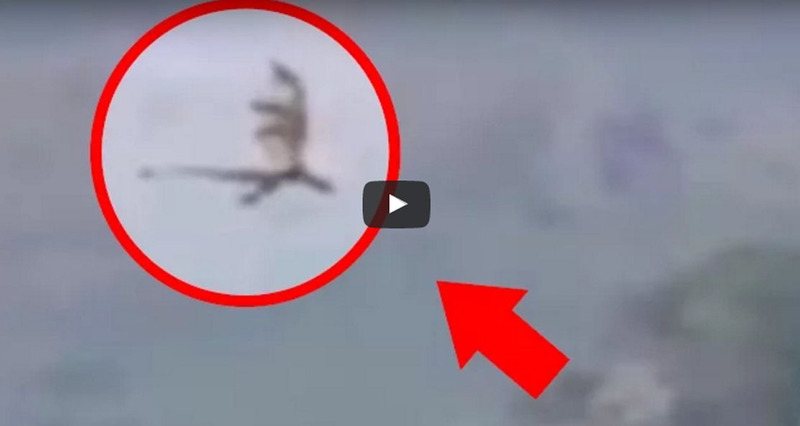 Uploaded by YouTuber ApexTV, the five-minute clip has been viewed almost 200,000 times and apparently shows the mythical beast flying over an unnamed mountain range somewhere near the border between China and Laos. Dragons are seen as a majestic creature in China’s folklore and the footage has captivated many, but some viewers have disputed whether the animal is a dragon or a flying dinosaur. In the video, a person asks viewers if they think the creature is a “dragon or pterodactyl,” in reference to pterosaurs – flying reptiles believed to have become extinct 66 million years ago. YouTube commenter Li Zeng has been convinced the video is fake. “It’s a cell phone device camera, so it’s pan focused and can’t focus on particular object,” they wrote. Another user, who believes the footage forms part of a conspiracy theory, speculated if the dragon was in fact a drone.“I’ve read some articles about how scientists and engineers have combined knowledge and discovered the natural movement and aerodynamics of a bird so perhaps they have tried to replicate it on a machine,” s6ef4enko wrote.